Transform dull, lacklustre skin with the Dewdreamer Illuminating Drops from renowned US makeup artist Laura Geller’s eponymous cosmetics label. 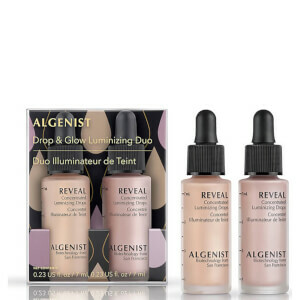 Available in four radiant shades, the highly-concentrated and ultra-pigmented liquid highlighter illuminates your best features, creating a healthy, lit-from-within glow and instantly blurring the appearance of facial imperfections. Formulated for ultimate versatility, the drops can be used on bare skin, blended with moisturiser or foundation, or layered as a finishing touch, leaving you with a natural-looking luminescence.